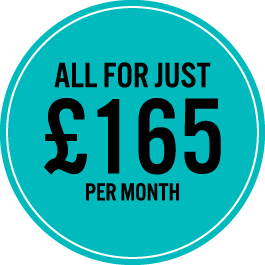 Why rely on passing traffic via aggregator food delivery apps and pay up to 25% commission, when you could be building a loyal customer base and paying no commission with our new Digital Ordering Bundle? Preoday’s technology makes it easy for you to improve customer engagement – the system allows you to set your own promotions and discounts, as well as alert customers to the latest offers with push notifications. Combine this technology with the Casio V-R200 that you'll receive FREE as part of the bundle, and you'll have a solution that will truly enhance your business, both in premises and online. As part of our Digital Ordering Bundle, you’ll receive a FREE Casio V-R200 EPOS system (worth £1,100 ex VAT) that comes with training and installation and 3-year warranty for just £10 per month. Every business is different. That’s why it’s so important for your EPOS to be able to grow and adapt to your needs. The V-R200 is completely customisable to meet your specific requirements and it seamlessly integrates with the Casio Cloud Suite so you can manage your data and spot trends. For just £25 per month, the Casio Cloud Suite would provide you with combined reports on mobile, online and real-time orders for easy analysis. Preoday’s integrated system and tablet allows you to build the brand you want, so you can manage every aspect of your customers’ orders and tailor offers and promotions to suit your business – even on the move. The simple interface is easy for users to navigate, while you get to benefit from powerful analytics that let you understand your customers better. With your Casio EPOS and card machine connected, there’s no need to key in transactions twice. It means faster payments, shorter queues, fewer mistakes and happier customers. By combining the V-R200 with our Paymentsense integrated card payment system, it means late nights trying to balance the books are a thing of the past. Cash-up in minutes at the end of each day, because your cash and card payments will always add up. You can also accept payments online, by phone and email to bring your business up to the next level, exceeding your customer's expectations and improving their experience. Avoid up to 20% commission on every order placed through aggregator service apps. Preoday offers 0% commission, so you can take full control of your business. Acquire new customers, and increase loyalty in existing ones, with targeted notifications and promotions. By understanding your customers, you can improve their experience and keep them coming back for more. 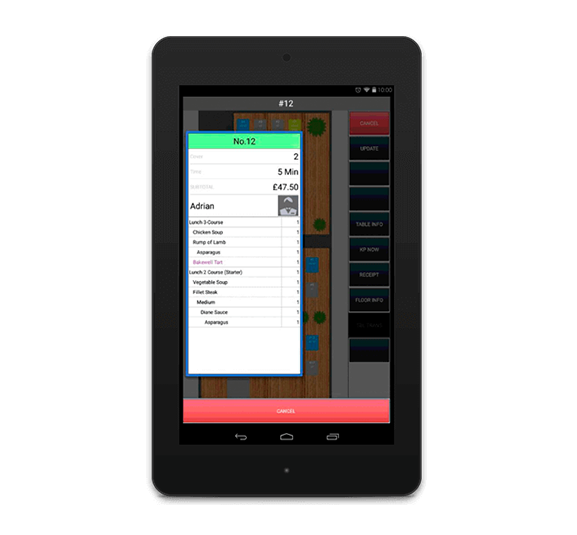 Brand your own mobile app and web ordering system exactly how you want. The customisable interface allows you to reinforce your brand identity, while offering your customers an improved experience that will keep them coming back again and again. The Digital Ordering system grants complete access to customer data, which is often withheld by aggregator services, so you have full visibility of your customers and their preferences. Better customer service leads to increased customer loyalty. So, we’ve enabled you to take total control over your customer service, including delivery deals and menu creation. The user interface not only allows you to easily update your menus with promotions and offers, it also provides your customers with a hassle-free experience. Check out the V-R200, equipped with an integrated printer and pop up display. 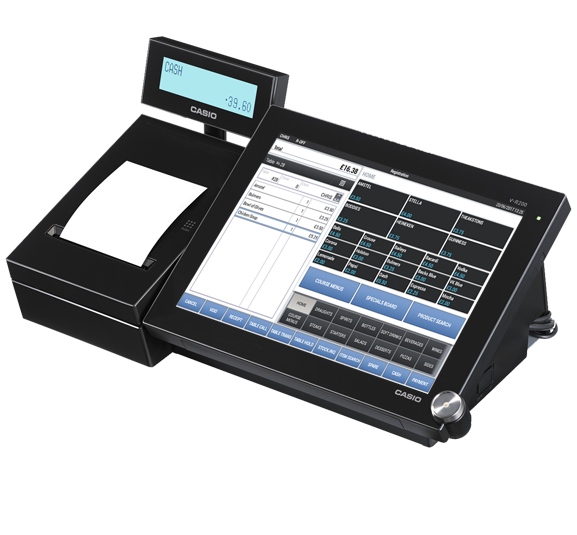 With its 10.4 inch display and powerful software, this is the ideal EPOS solution for where space is at a premium. 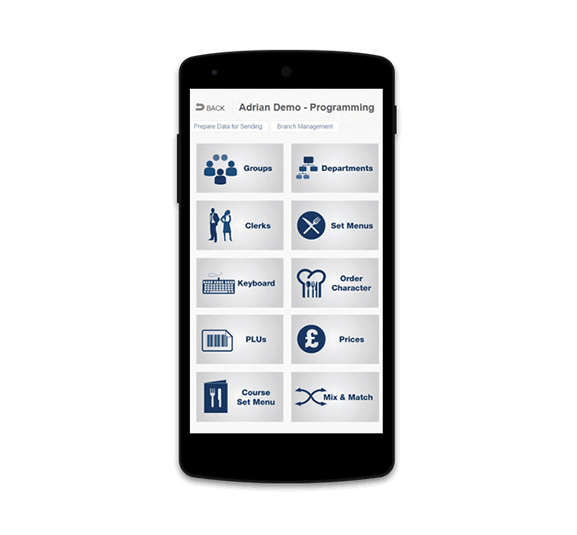 Try the Casio Mobile Ordering solution. Spend more time with your customers and have the opportunity to up-sell by taking their orders directly at their table. The optional Casio Cloud Suite is a comprehensive, web-based back office package that allows you manage every aspect of your EPOS terminals and their part in your business.